The IT costs of complying with the Government's Real Time Information (RTI) programme have imposed a stiff burden on small businesses in recent months, according to the Forum of Private Business (FPB). The FPB, which represents companies of less than 50 employees, has estimated that small firms have had to spend a total of £318 million on complying with RTI, more than double HM Revenue and Customs' estimate of £120 million. 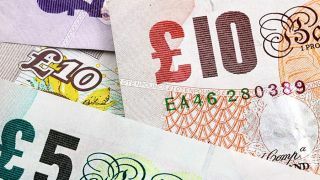 Thomas Barrie, Research Manager for the FPB, told TechRadar Pro that although there is no precise figure IT related costs have accounted for the major proportion of the extra spending. Companies have typically spent £300 to £400 on new software, and many have had to pay for the expertise to help them use it. "One or two people have used the HMRC payroll solution, but weren't happy as there was not helpline or support," he said. He added, however, that the software spending could help to provide savings in the long term. RTI is a system created by HMRC for payroll information to passed on continuously rather than update monthly. Early in the year the FPB warned that many of its members feared serious problems with the introduction.